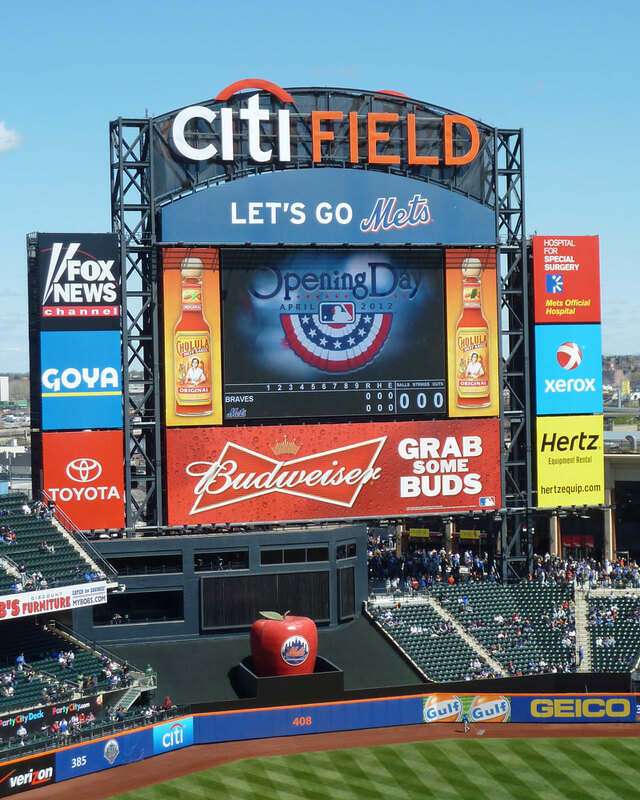 I planned to go to my last game of the season on Friday, Oct. 1… the first home game since the Mets clinched the National League East division title the week before. While Hurricane Joaquin spared our area, a nor’easter drenched us on Thursday and Friday and that game was rained out. 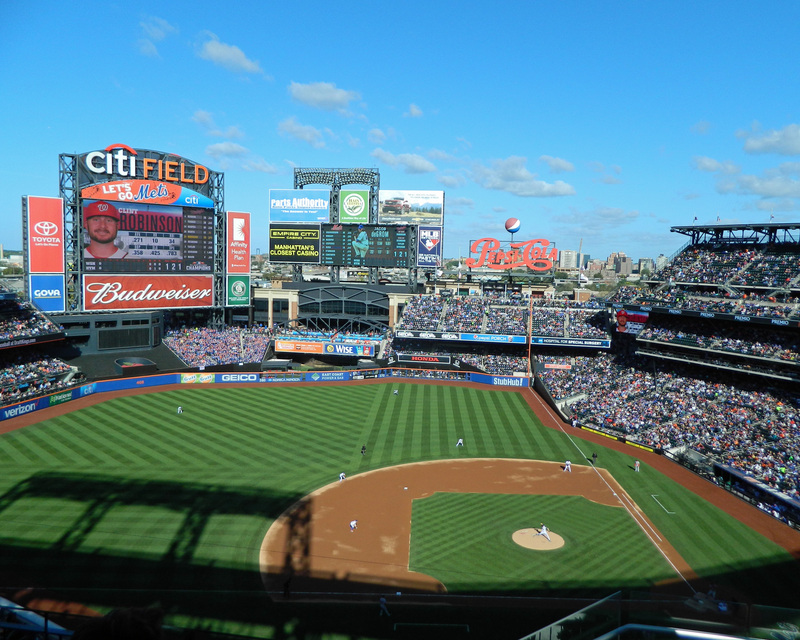 But I was off on Sunday and was able to score $11 tickets to the Mets’ final regular season game… which became significantly more important to me when I realized I hadn’t been to a game at Citi Field since Chris Heston no-hit the Mets in June. It seemed like a bad way to close out my year at the ballpark. 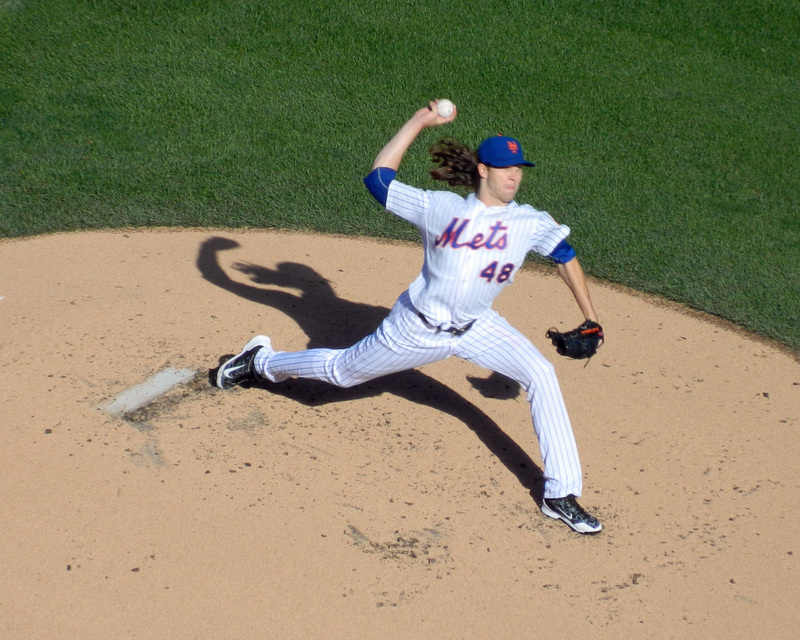 When I saw that Jacob deGrom was scheduled to pitch Sunday, I knew it was meant to be… deGrom started all but one of the Mets games I went to this year, and they won all of those starts. A lot of people must have had the same idea… or else they bought the tickets back when it seemed like the final series of the year could have playoff implications. Either way, Citi Field was packed. I arrived just after the gates opened, but didn’t get inside until almost 1:30. There were people everywhere in the gift shops, mostly focused on picking out playoff souvenirs. Last year, I was able to find bargains and bought deGrom and Travis d’Arnaud shirseys. Sunday, everything was full price, so I just picked up a 2015 NL East Champs pin for my collection. I met up with my friend Vinny, who was purchasing a pin and pennant, and we wandered around the ballpark for a while. 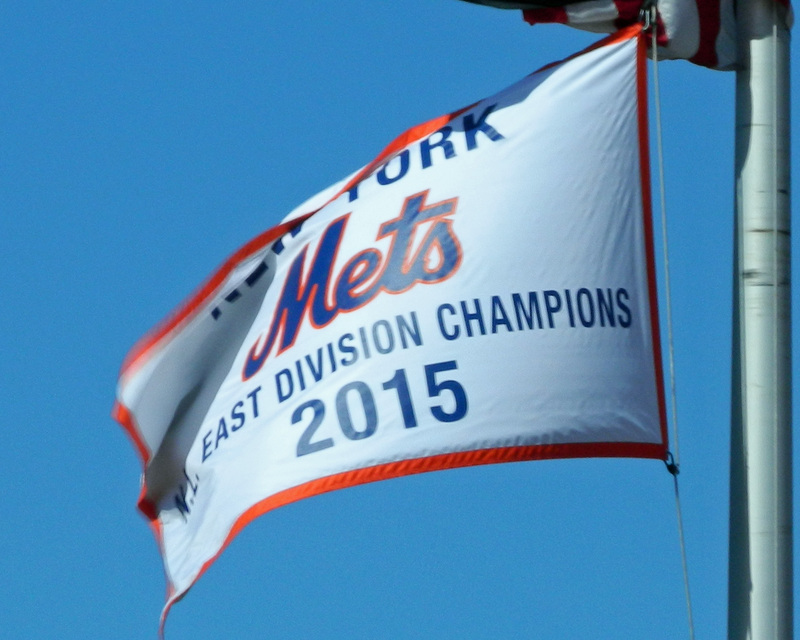 We stopped to take pictures of the new NL East pennant the Mets are flying below the American flag. I was really happy to see it. I will be even happier if it is gone next April, replaced by a World Series pennant. Like nearly every game I’ve been to at Citi Field, there was no particular significance to Game 162 of the 2015 season. But it was still nice to get one more afternoon at a ballpark, watching a baseball game with a friend. And for a little while, we got to wonder if we might see something more. 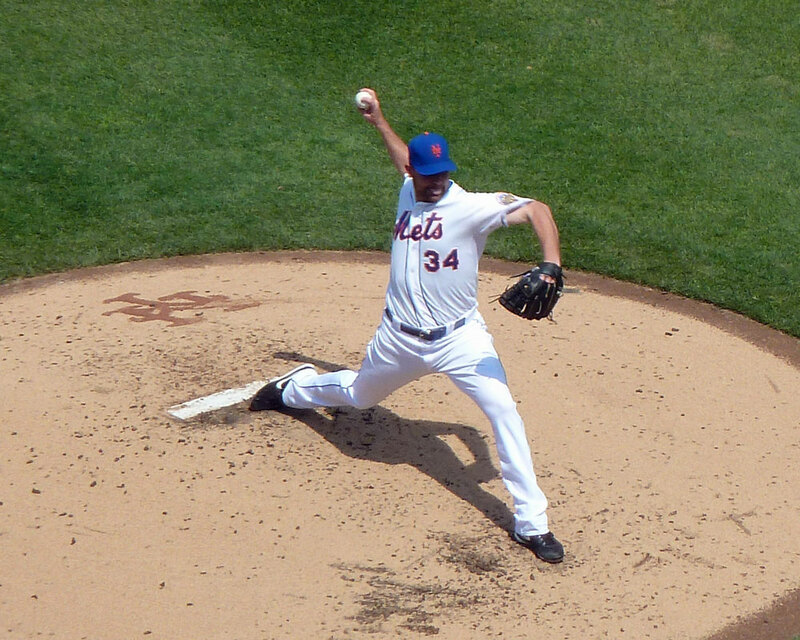 DeGrom pitched four innings without allowing a hit before he departed, having reached his pitch target for the afternoon. 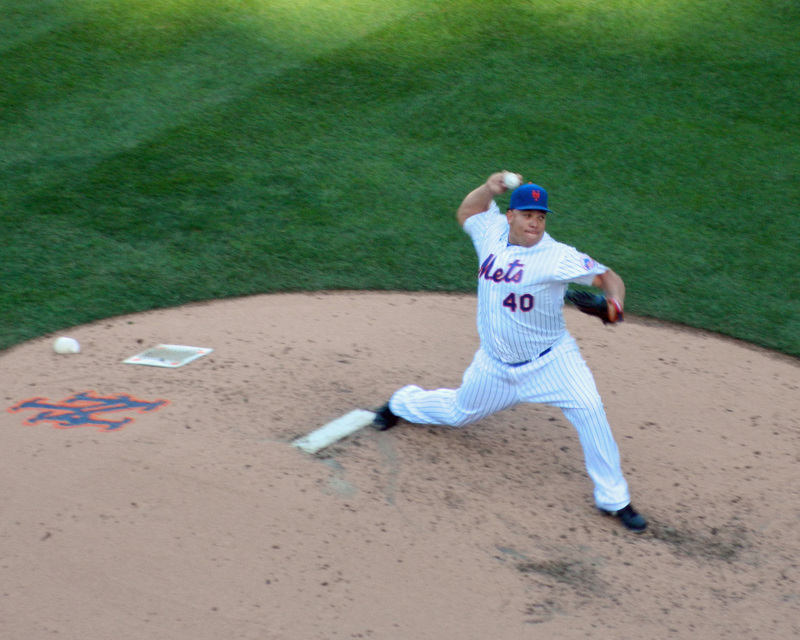 Bartolo Colon kept the no-hitter going through five. Logan Verrett did his part in the sixth. And we started trying to remember if any team had ever thrown a “revenge no-hitter” against the team that had no-hit them in their previous game. Vinny was livid when Jon Niese came in for the seventh. 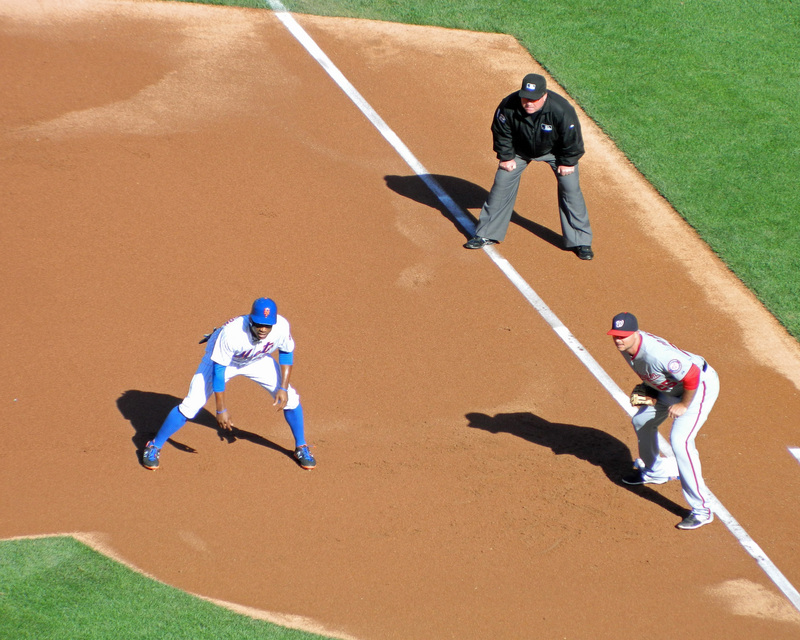 He was sure that Niese would give up the Nationals’ first hit. I was less concerned about that possibility than the idea that we could be watching a repeat of the final game of 2010, which didn’t end until Oliver Perez walked in the winning run in the 14th inning. As it turned out, Vinny was prophetic. Clint Robinson hit a hard smash to shortstop that deflected off of Ruben Tejada on its way to right field with two outs in the seventh. 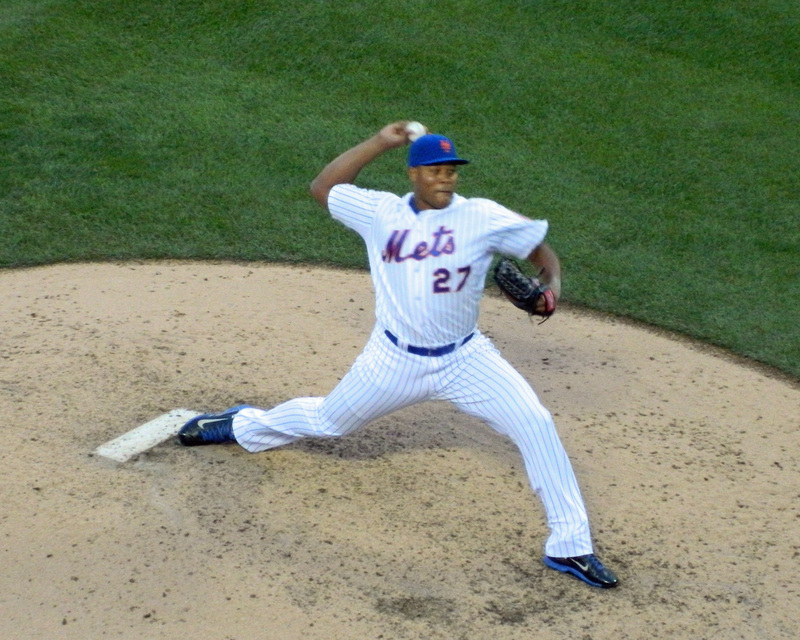 That chased Niese and brought in Addison Reed to finish out the inning. It’s probably for the best. Terry Collins used seven pitchers on Sunday – Howie Rose and Gary Cohen would probably even have trouble remembering all of them a few years down the line if they needed to tell the story of the second no-hitter in franchise history. In the eighth inning, we got word that Ichiro Suzuki was pitching against the Philadelphia Phillies in the Miami Marlins’ final game of 2015. I’m sorry I didn’t get to see it. But Curtis Granderson wanted to make sure we got to watch the Mets earn their 90th win – fulfilling Sandy Alderson‘s pre-season prediction that was once a source of bitter laughter. He hit a solo home run off of Nationals reliever Blake Treinen. Despite a 9th inning double from Bryce Harper, Jeurys Familia was able to wrap up his franchise record-tying 43rd save and put the 2015 regular season in the books. For the first time in nine years, the Mets will keep playing after Game 162. Vinny will have at least one more baseball game to watch at Citi Field this year. I will be watching the playoffs on TV. That’s ok. For all of its frustrations and disappointments, this season has been a gift. The Mets made us believe again. Do you ever pull a pitcher working on a no-hitter? 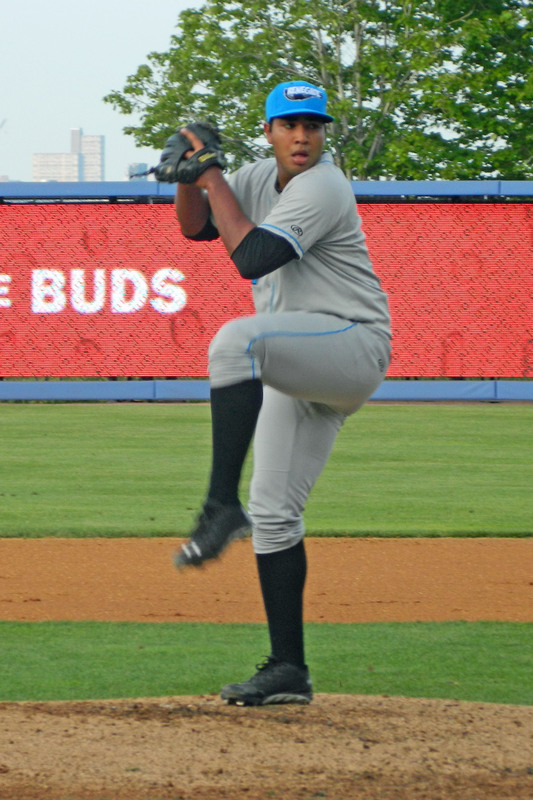 Hudson Valley Renegades pitcher Angel Yepez didn’t allow a hit over six innings last night as the Tampa Bay Rays farm team held on to beat the Staten Island Yankees 7-5. Yet just when those of us in the stands were starting to think about the possibility of watching a no-hitter, Hudson Valley manager Tim Parenton already knew we weren’t going to watch Yepez try to complete one. He had reliever Diego Castillo warm up in the top of the seventh while his team was hitting. 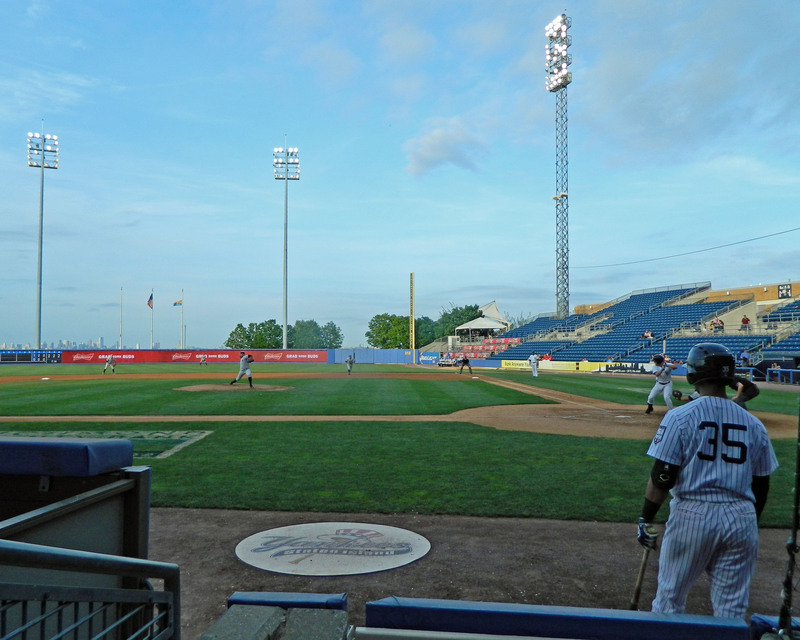 And Castillo came in to pitch the bottom of the seventh, yielding a hit to Griffin Gordon to spoil the bid and three runs to the Staten Island Yankees to get them back into the game. Yepez, who did earn his first victory of the season for his efforts, threw just 63 pitches – 42 for strikes. But the 20-year-old prospect had not pitched more than five innings this season and pitched just 72 2/3 innings over 19 appearances with the Venezuelan Summer League Rays and Gulf Coast League Rays last year. A complete game performance just wasn’t in the cards. My friend Greg couldn’t understand why Yepez wasn’t allowed to stay in until he gave up a hit or finished the game. I’d assumed a pitch count much closer to 100 (unlike major league stadiums, there’s no pitch tracking info on the scoreboard at Richmond County Bank Ballpark), or I would have been wondering the same thing. But as the Tom Verducci column I linked last week pointed out, baseball has changed. The idea of starting pitchers throwing complete games is antiquated. Shutouts are more of a novelty than a measure of a pitcher’s dominance in 2015. No-hitters are probably on their way to becoming even more of a rarity than they already are. And that’s a shame. You can show me all the numbers you want to prove that it’s better to send out a reliever for that third or fourth trip through the batting order — I know you’re right. But I miss watching starting pitchers facing that challenge. Barring an organizational mandate to pull him at a certain pitch count, I would have sent Yepez out to start the seventh inning last night. And I would have let Johan Santana pitch just as long as Terry Collins did on June 1, 2012. But let’s hand you the lineup card and put you in the dugout: when would you take the ball away from a pitcher working on a no-hitter? Corey Mansfield of the ATL Baseball Blog invited me to go see the Long Island Ducks take on the Somerset Patriots at TD Bank Ballpark on Saturday. With the New York Mets and Trenton Thunder both on the road this weekend, it seemed like a good opportunity to watch some baseball. I also saw Freddy at the game – it was nice to get to talk to both of you . Unfortunately, the game wasn’t that much fun. It started off well enough. 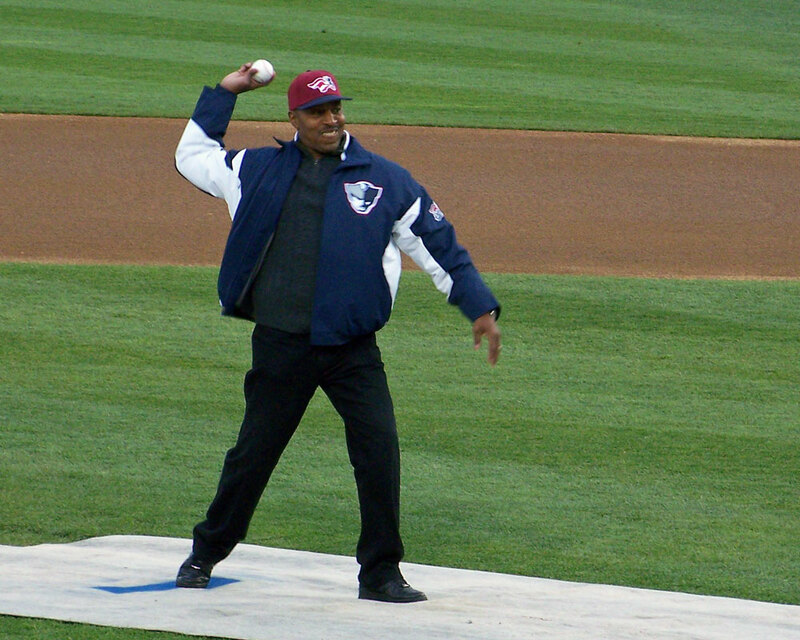 Former New York Mets manager Willie Randolph accepted an award for community service and threw out a ceremonial first pitch before the game started. And for the first four and a half innings, we got to see a competitive game. But on a cool, windy night, watching the Patriots put up a seven-run fifth inning was a signal to head for the exits if you weren’t concerned with sticking around for the post-game fireworks show. The final score was 14-3, with the Patriots picking up their first victory of the 2012 season. If you told me that Mike Pelfrey would pitch eight innings and allow just one run on six hits and a walk, I would have thought the Mets would be well on their way to an easy victory. Of course, that would be too simple. The offense struggled, with the three through six batters going a combined 3-for-14 with one RBI. Ike Davis and David Wright both got picked off during one Jason Bay at bat in the eighth inning, wasting an opportunity to add on to a 4-1 lead. Frank Francisco had another shaky outing, and was pulled from the game in the middle of the ninth. Kirk Nieuwenhuis couldn’t field what should have been a game-ending fly ball from Brandon Belt, so it fell in for a game-tying double instead. And when Nieuwenhuis came up in the ninth inning with the bases loaded and a chance to redeem himself, he tapped into what should have been an inning-ending 3-2-3 double play. Fortunately, none of that mattered because Buster Posey threw the ball out into right field, allowing Ruben Tejada to score the game’s winning run. 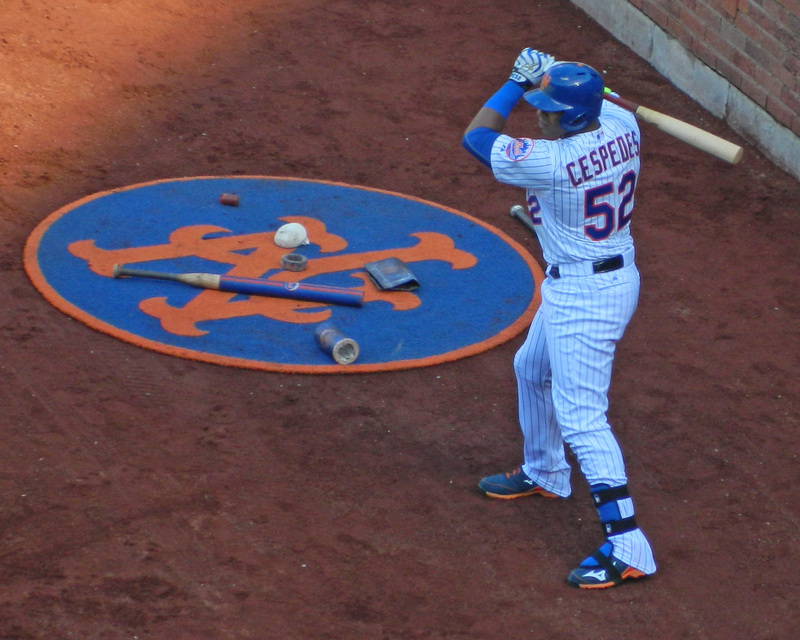 The Mets are now 2-0 in games I’ve been to this year… it’s a nice change of pace from previous seasons. Thursday’s New York Mets season opener was my first baseball game of 2012, my second-ever Mets home opener and my first actual major league Opening Day. I left early to get to Citi Field in time to see batting practice, and as a result I didn’t see many baseball fans on the trip. There was a crowd of people lining up at the Jackie Robinson Rotunda gate by 10:30 a.m., but once they opened up at 10:40 a.m., it was quick to get through the security check to get inside. Last night’s Mets game stunk. Sure, it was better than hanging out at Citi Field for a couple hours to watch the rain fall on Wednesday – but you have to invoke that old saying about a bad day at the ballpark being better than a good day anywhere else if you want to pretend it was fun. 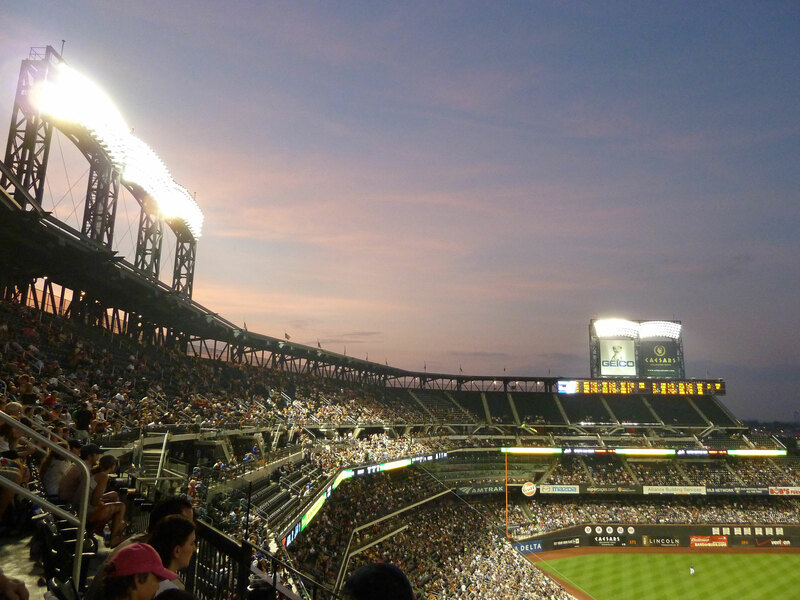 It took four tries, but I finally got to see my first Mets win at Citi Field in 2011 on Saturday. It wasn’t the nicest afternoon for baseball, but after an hour plus rain delay the game got underway.